I was actually looking for strawberry jam when I found this curious sounding spread. For a change we had an Ocado online grocery order, and their selection of jams included those by Hotel Chocolat. 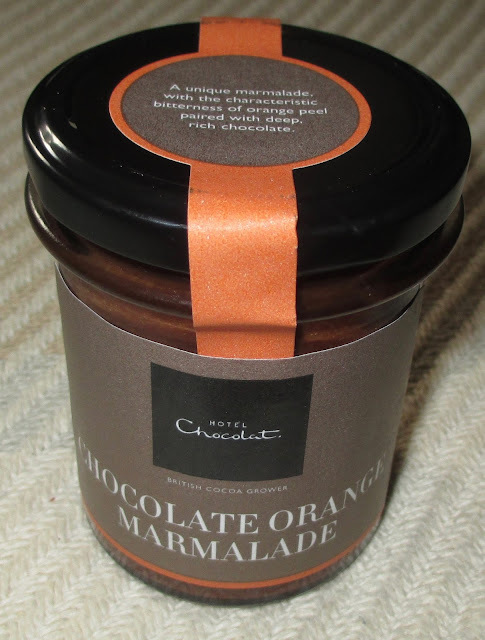 I got distracted and stumbled across this Chocolate Orange Marmalade which made its way into my virtual basket. I tried this out for breakfast spread on toast. I popped open the jar and the contents looked a lot more like chocolate spread than marmalade, and for a minute or so I thought this might be a bit rich. I went to spread it and realised that the texture was much lighter then a chocolate spread and was it back in jam territory despite the colour. The flavour was far more complex than I had been expecting. The taste is mostly orange marmalade, and it is a particularly sharp bitter orange flavour. The cocoa mixed with is it delivers a little sweetness, but mainly has darker tones giving this a very mature flavour. The more I ate the more I enjoyed the intricacies of all the tastes. I loved the lightly sweetened flavour mixed with the stronger bitter orange and deep cocoa. 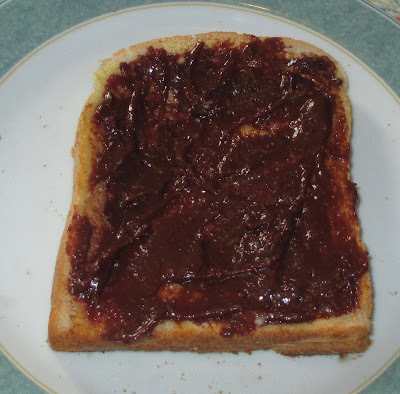 A very grown up taste, but one that left me craving another piece of toast with Chocolate Orange Marmalade.